* * Note: has bracelet to set (KLEIN bracelet). If you want to purchase the two pieces, we inform you beforehand to deactivate the shipping costs on ETSY, which will run to our account. 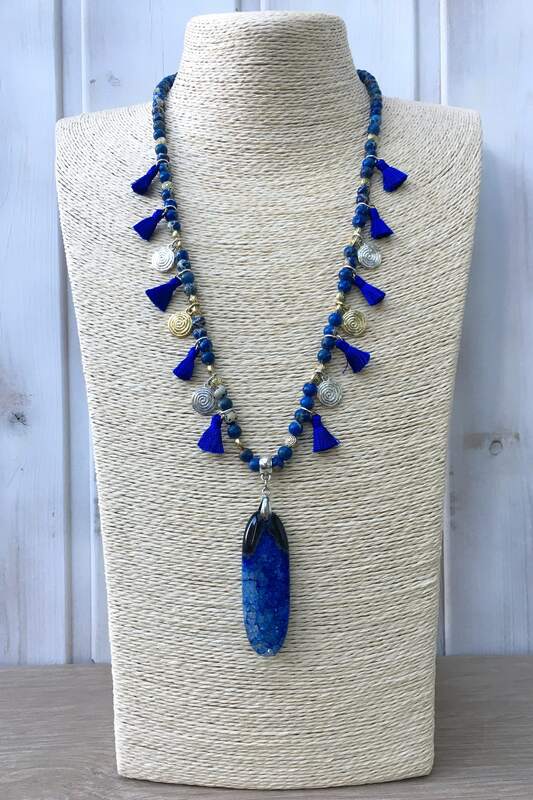 Double necklace with imperial Blue jasper Beads, with gold and silver beads and coins, blue tassels and blue dragon agate pendant. 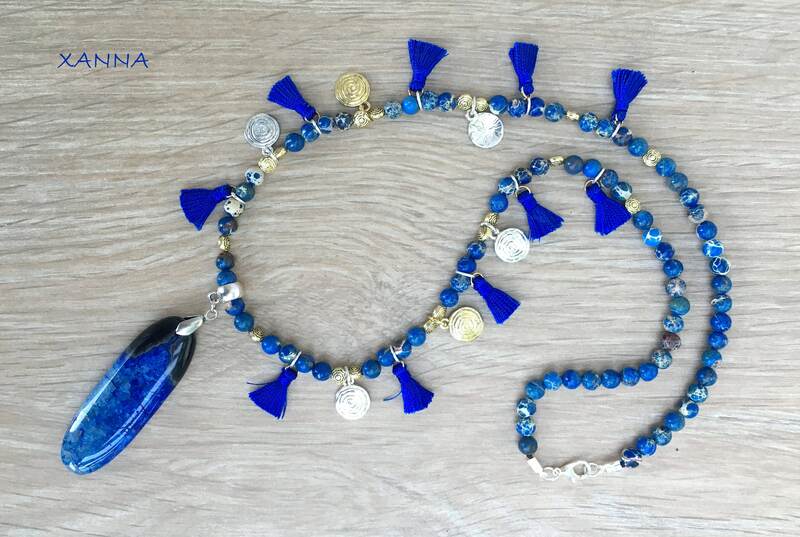 Total length of necklace with pendant: 37.5 cm. Jasper is a chalcedony and as such, it is a microcrystalline variety of quartz. Its appearance is very varied and its colors are determined by the presence of other minerals. In this way it is in the nature in different colors, sometimes mixed, with drawings and stains. Blood Jasper is a variety of dark green chalcedony with red (red jasper) drops or dots scattered all over the surface. The Jasper, of vitreous luster, strengthens intense feelings of love and passion. Strengthens love. Aphrodisiac. It absorbs negative energies. Helps in decision making and clarifies problems. 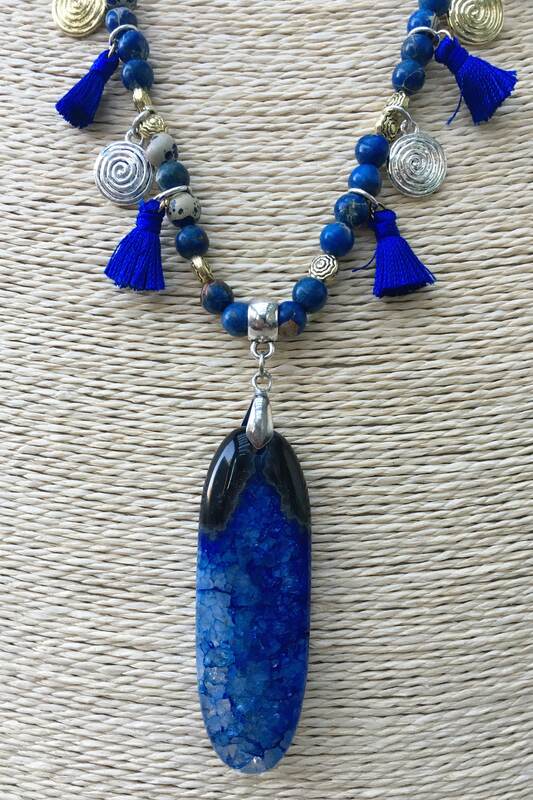 It emits strong energetic vibrations. It stimulates the imagination and makes you think quickly. Positive will and courage to face problems. It helps in the moments of tension giving tranquility. 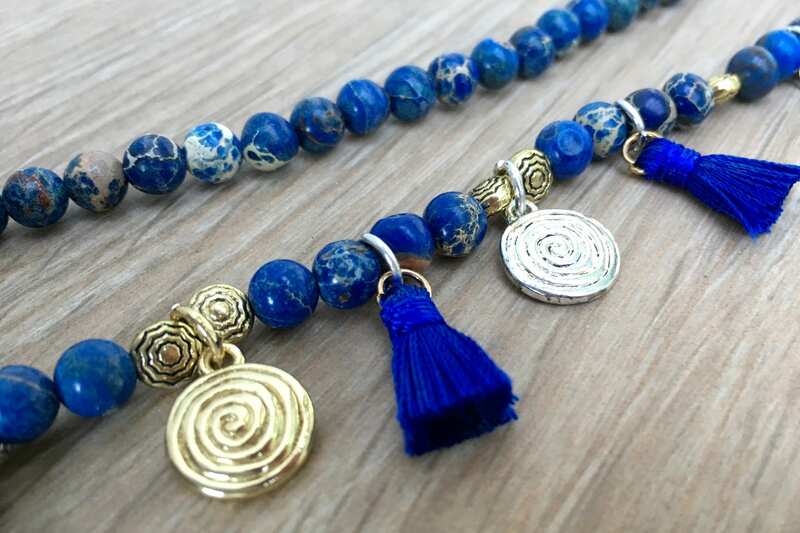 In general Jasper is a protective stone and also connects us to the Earth. Gem of various colors and drawings, yellow, brown, green and reddish.